Take a look at commercials or movies, and you will notice the dark, curly eyelashes adorn a woman’s eyes. Since these products are placed close to the eyes, you must exercise caution and use your judgment to buy the best product. 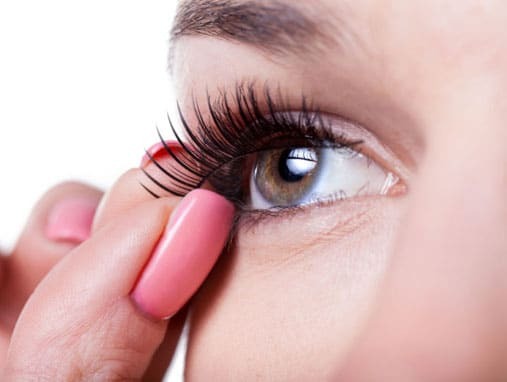 Before you head to the nearest store to buy eyelashes, here’s what you should know. Check the ingredients- On the pack, you will see the list of ingredients that have been used to manufacture the product. Do a research online to check if they are safe for your eyes. You should also find out if any of the individual components cause an allergic reaction on you. If you purchase them from a store near you, it is easier to take out the product and check for allergic reactions like itchiness or redness of the skin. In the case of these symptoms, move on to the next product. Buy branded products- If you are settling for a low price, remember that the product must match its quality with the price offered. Always buy branded products. 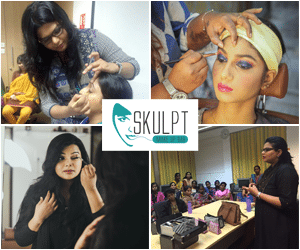 Several makeup classes include a tutorial on the art of applying false eyelashes. Here, experts will guide you to remove any eye makeup first and use an eyelash curler to enhance your existing lashes. Keep a pair of scissors, toothpicks, tissues and few numbers of false lashes. You can find lashes in a variety of styles. Buy your own box of lashes and use them to fill in sparse areas near the corners of your eyes. This lends a voluminous look to your daily wear. Start by applying the lashes from the outer corner of the eye and gradually work your way inwards. Use tweezers to handle the eye lashes and lace them with glue. With the help of a Q-tip place them on your eyes and wait for the glue to dry. Get creative and try different styles and looks by including eyeliner and other eye makeup. The glamour industry has seen the arrival of a new product- Latisse. This solution, when applied to lid edges, will result in the growth of thick and long lashes. However, this product can be obtained by a doctor’s prescription. Several individuals prefer to use the traditional mascara and false eyelash extensions. The advantages vary from a low cost of the product and the flexibility to mix and match different colours. On the flip side, it takes roughly two or three hours to get those lashes fixed, depending on the experience of the makeup artist. If you are keen on investing in Latisse, note that there are few side effects like redness in the eye and itchiness. With several options available in the market, it is best left to the judgment of the individual. Most of the branded products have a lifespan of 30 to 45 days. Few of them have been manufactured using synthetic material which gives them the dark and envious shape. Each of the eyelashes has a layer of glue that keeps the synthetic material in place.